This R/C assembly kit recreates a fun and boxy classic VAN with over-sized monster truck tires. It is one of Tamiya’s classic creations from the 1980’s (First released in 1987). It has been a fan favorite for its original appearance as much as for its R/C performance. 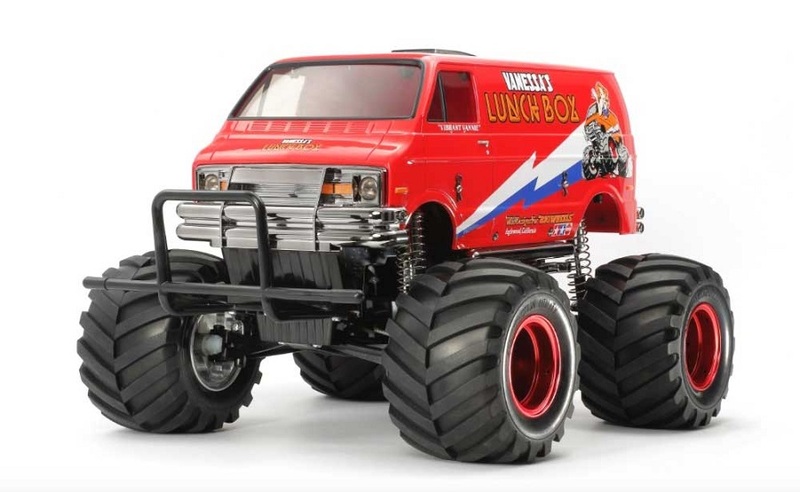 The boxy minivan body has been raised up over monster truck wheels to ensure that this R/C van will grab the attention wherever you choose to drive it.